We accept fresh garden produce and unopened/unexpired food items during public operating hours. A key objective of our pantry program is to provide healthy food options, including low sodium and low sugar products. Many patrons follow restricted diets and your donation of healthy food items is especially appreciated. We also accept non-food items like dish soap, paper towels, aluminum foil, toilet paper, and wax paper. ​When dropping off donations, please use the delivery door at the back of the facility. There is a collection bin inside the building next to the pantry exit door. If you need assistance, please let us know by calling (608) 848-2499. Host a food drive. We would love your help in replenishing items in short supply and contributing those most difficult for us to obtain for our food pantry. Please contact our special events coordinator for ideas, scheduling, and a list of items most needed. Hold a bake sale, contest, craft sale or garage sale – Get creative! Get competitive! Inspire! And raise funds for BPNN. Let us know what you are doing so we can tell everyone on our Facebook page. Ask your favorite bakery or vegetable stand to donate – Businesses you support may be willing to donate day old bread, or less than perfect apples to the Pantry. Please let us know if they say “yes” so we can make room! Your group can have fun working together to pick up the items, or take turns with others. Make Snack Packs – Your group could make snack packs for the kids – either to eat on site or take along for later. These packs could include granola bars, fruit leather, applesauce pouches, boxes of raisins, small packs of crackers or cookies, juice boxes – anything prepackaged that doesn’t need refrigeration. Please contact us before starting any food collection activity. 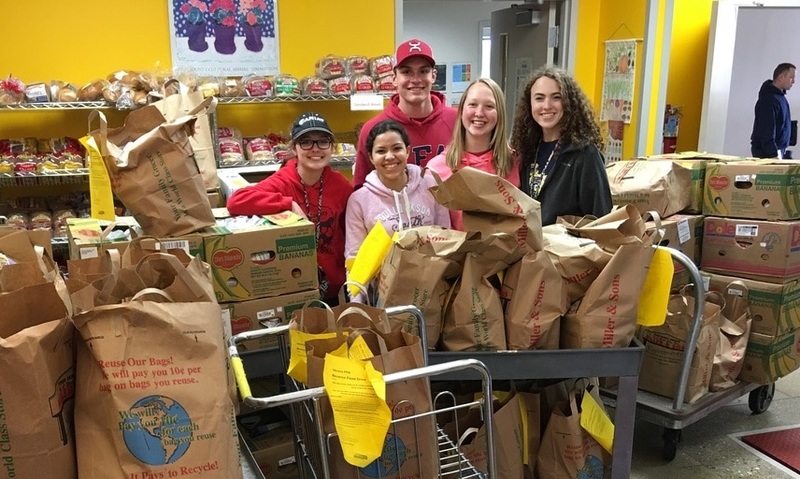 Want to get the kids involved in fighting hunger? Ideas can be found at Feeding America. Canned Protein: Tuna, Chicken, Salmon, SPAM, etc. Condiments: Mustard, Olives, Salad Dressing, etc. Other: Dish Soap, Paper Towels, Aluminum Foil, Wax Paper, etc. Want to Make cookies for the Pantry? Due to public health regulations and established food safety practices, food pantries CANNOT accept food prepared in non-commercial settings (at home). To protect the health of our patrons, we work with fully licensed food suppliers and monitor their food handling practices.